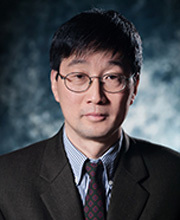 Jiang Wang is the Mizuho Financial Group Professor at the Sloan School of Management, MIT, and a Research Associate of the National Bureau of Economic Research. He is the recipient of the Smith Breeden Prize in 2006, the FAME Research Prize in 2004, the Leo Melamed Prize in 1997, and the Batterymarch Fellowship in 1995, among other scholarly awards. He has served on the editorial boards of the Journal of Financial Markets, Operations Research, Quantitative Finance, Review of the Financial Studies and other professional journals. His research is mainly in the area of asset pricing, investment and risk management, market microstructure, international finance, financial innovation and financial engineering.